Where Can I Find Texans Parking Near NRG Stadium? There are several parking lots and garages within walking distance of NRG Stadium, including official parking near the stadium and spots you can reserve with parking apps like SpotHero. SpotHero helps you find and book a spot in advance. 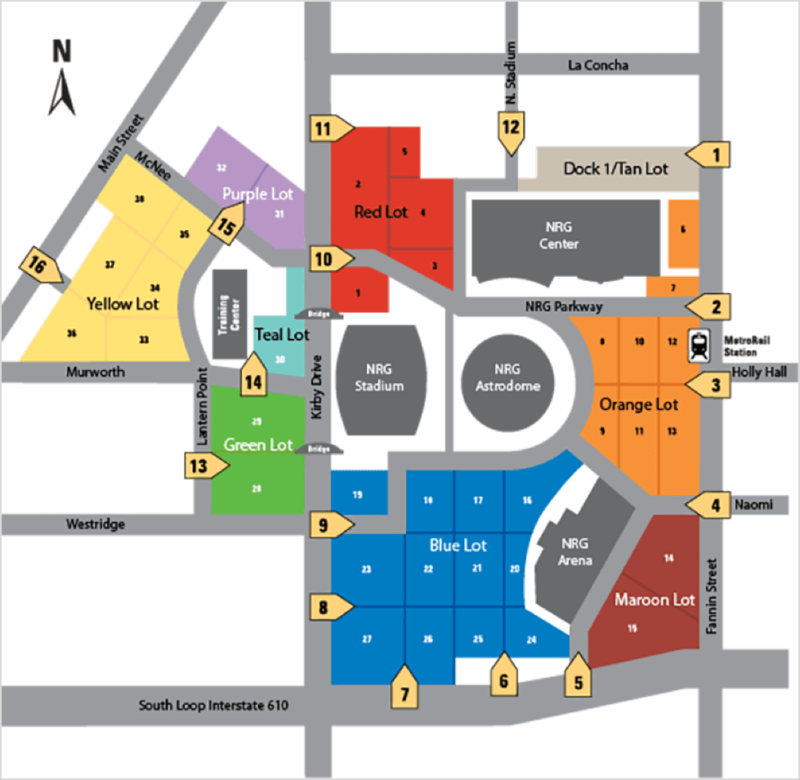 That way, you’ll know exactly where you are going to park on game day. How much does it cost to park at NRG Stadium? You can buy a parking pass for the official lots for $27-$150+, depending on proximity to the stadium. If you don’t mind walking, you can find and reserve a spot for $20 within a half mile of the stadium. Reserve your spot ahead of time on a parking app like SpotHero for the best rates and locations. Where can I buy a parking pass for Texans games? Looking for a Texans parking pass? Use a parking app like SpotHero to explore your options first. You can compare prices and book your parking spot ahead of time. Your parking pass from SpotHero will include directions and redemption instructions. You can also find parking passes in the official lots here. If you’re still looking for Texans parking near NRG Stadium, select a game below to get started!